Santa Monica-based Aletheia Research and Management manages more than $7 Billion in assets. 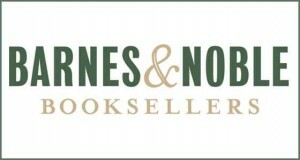 It attracted a lot of media attention over their large stake in Barnes and Noble (BKS) at the end of 2010. Peter J. Eichler Jr. is the Chief Executive Officer of Aletheia. He got into a nasty fight with an Aletheia founder, Roger B. Peikin, at the end of 2010 as well. Peter Eichler Jr. is the grandson of the founder of former L.A. brokerage firm Bateman Eichler & Co. After working at Bear Stearns for 12 years he founded Aletheia in 1997. In mid December, Aletheia had 7.67 Million BKS shares in its portfolio. In April the firm sold nearly 1.3 Million shares at around $10.50, reducing its holdings to 6.38 Million shares. Currently BKS trades at $13. Aletheia had more than $100 Million in BKS at the end of December. Israel Englander’s Millennium had $2.3 Million and Richard Schimel’s Diamondback Capital had $1.9 Million in BKS.